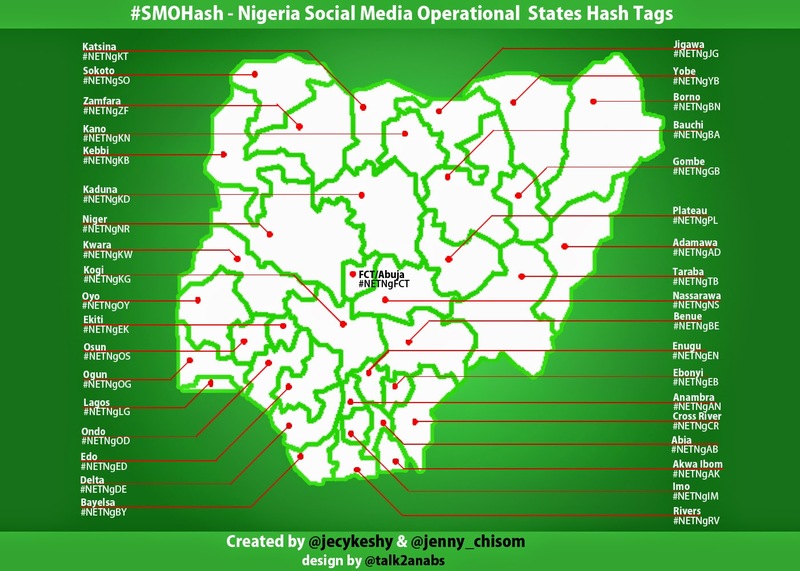 The Social media tool #SMOHash has been unveiled to the Nigerian public today August 20th 2014 in Abuja. 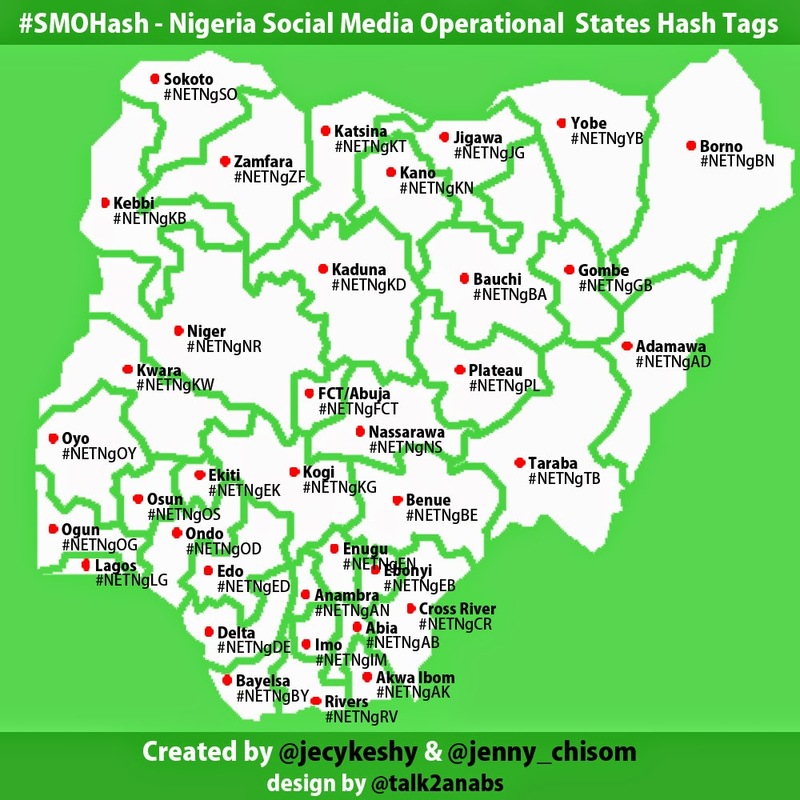 The tool which means Nigeria Social Media Operational State Hashtags (#SMOHash) is an online code for communication in Nigeria. These codes represented as hashtags are designed for all states in Nigeria and the FCT to help track and keep a robust online communication among Nigerians living in the states and for people in diaspora to follow trends. This online regulation tool #SMOhash is an idea brought to bear by the duo of Jecinta Keshy (@jecykeshy) and Jenny Chisom Opara (@jenny_chisom), two Nigerian social media enthusiasts concerned about online etiquette. Speaking to Keshy, she was quick to explain that Nigeria as a country is fast catching up with the world on the social media front and there is no better way than to begin to coordinate our online presence amongst other things. #SMOHash is in this format – Hashtag-Internet abbreviation (.NET), Nigeria code (Ng) and a State abbreviation which appears thus #NETNgFCT representing online communication from and for residents of “Abuja” in that manner. The #SMOHash is said to be pioneering a great move for development as social media communications would come using the state hashtags and informing users on Twitter, Facebook, Instagram, blogs and more platforms. Important state information can be shared using this hashtags and events, policies, rules and general reviews can be communicated too. Now people can browse the hashtags to get informed and contribute to their communities. Nigerians in Diaspora as well as investors can just browse any of the state hashtags to read up about the people and their economy. Furthermore, Jenny Chisom a co-creator of the #SMOHash explained that in preparation for governments’ investment into state internet facility, the #SMOHash can become wifi-useful when finally in use. It goes to say that the governed can become even closer to their governors and get updates and on-going discussions on policies in all sectors as well as major state concerns. 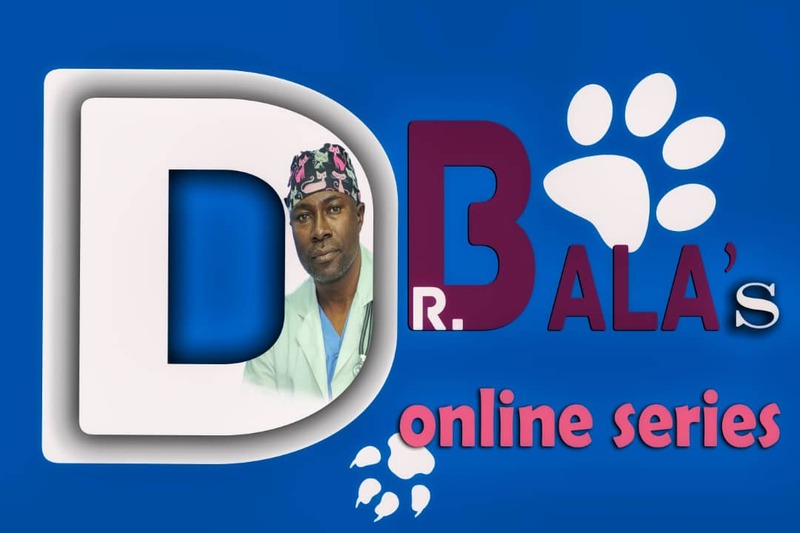 This goes to streamline all the overwhelming information on the internet highway and provide conversations to specific people in specific locations. In a state tour plan underway, the duo of Keshy and Opara are excited to have birthed one of their dreams and being part of the solution for social media development in Nigeria.